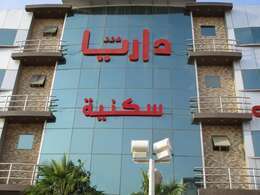 Kingdom Hospital located in King Abdul Aziz Road, Ar Rabi, Takhassusi Street, in the North of Riyadh City. Kingdom Hospital is a private hospital, it was established in 2002. Kingdom Hospital working on provide high quality cost-effective healthcare while upholding the best scientific standards in medicine. Kingdom Hospital Fully equipped with the necessary equipment for health care, consulting clinics have been integrated to the hospital in 2002 to be medically significant edifice, the hospital consists of several specialized departments equipped with the latest medical techniques. Kingdom Hospital provides all types of consultations and therapeutic services, it is comprised of many specialised medical departments including but not limited to Pediatrics, Internal Medicine, Obstetrics & Gynecology, Surgery, not to mention the Pain Management Center and a Rehabilitation and Physiotherapy Unit, which is the first private Rehabilitation Center in Riyadh. The Emergency Room and Intensive Care Units in KH are the first units to run in line with the standards of the American College of Emergency Physicians.